Piper left us too soon. She was diagnosed with cancer in March 2011 and passed away in August of 2014. 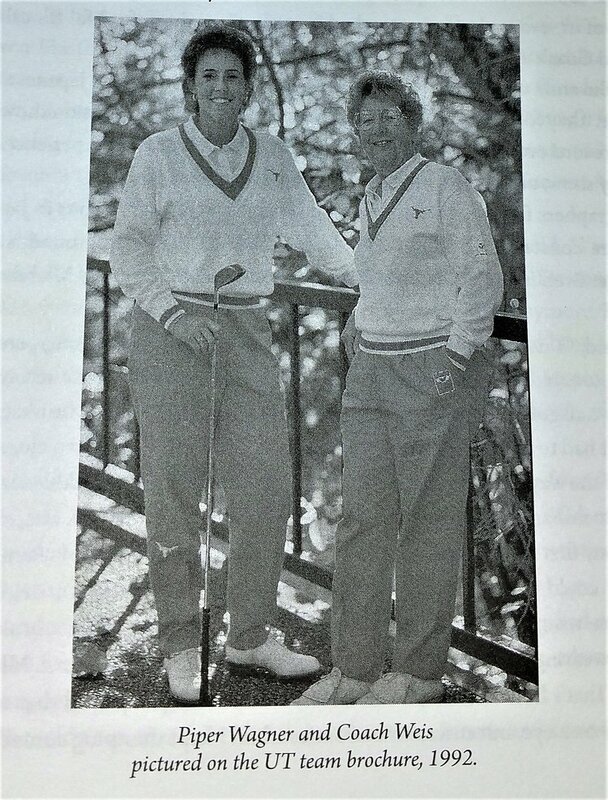 Piper Wagner (golf 1987-1992) reflects on a story about her golf coach Weis that many former UT student athletes will understand. A friend of Coach Weiss had passed away, and Piper went over to Coach and said "I'm sorry about your friend, Coach." Piper said Coach Weiss eyes teared up and Coach could not speak so she touched her heart with her hand. Piper said " I was shocked to see her (Coach Weis) that way. In college, all I really thought about was me. People like Coach, they weren't real people. Looking back on it now, it is so strange! We were just kids, completely self-centered. I certainly didn't think about her actually having a life outside of coaching our team. "